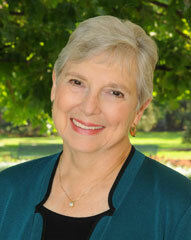 Carol Grever, M.A., has been a successful businesswoman and English professor and is now an award-winning author. She has published two books and produced an educational documentary DVD on straight spouse recovery. She is a recognized spokesperson on mixed-orientation relationships and has been interviewed on major network TV and radio shows on three continents, including The Oprah Winfrey Show, Good Morning America, Anderson Cooper 360, The Early Show, and Inside Edition. Carol earned BA and MA degrees from Phillips University and Pacific University, respectively, and did additional post-graduate work at Oklahoma State University. An adopted Coloradan, she lives and writes in Boulder. More than 90 live radio interviews in the United States, England, and Thailand, including syndicated and satellite broadcasts. Your two most recent books are a collection of poetry and a spiritual memoir. Why did you decide now to write more personally about your own experiences? Do you plan to continue writing on straight spouse recovery? Is another book in the works? What motivates you to continue writing about mixed-orientation relationships after more than two decades? Gay marriage is becoming more widely accepted by the public since its legalization. Has this shift affected the incidence of gay-straight marriages? Why do gay people marry heterosexuals in the first place? How could the straight spouse not know? Are there any warning signs or clues that your husband or wife is gay? Why do married gays wait so long, sometimes decades, to come out? After years in a marriage, why would a gay married person decide to come out at all? As a straight man or woman, how does it feel to discover that your intimate partner is gay? What should the straight spouse do after the discovery—first steps and long-term? Do male straight spouses go through the same stages of recovery as females? What are the typical stages of coping? What effect does a parent’s coming out have on children in the family? Is there a major theme in your whole body of work on this subject?